I started reading Deborah Raney's Chicory Inn series with the very first title, and the character I was immediately drawn to was Danae. When I realized that each of siblings was going to have a book focused on them, I was immediately hoping the next one would be Danae's tale. Finally, it is her turn. 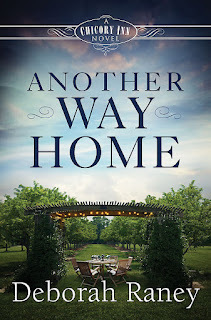 Another Way Home by Deborah Raney was worth the wait. Sometimes God's ways are not at all what we expect . . . and exactly what we need. Though Danae is ready to consider adoption, Dallas will not even discuss it. Despairing of ever having a family of her own, Danae decides to pour her passion and energies into volunteer work with a newly opened women's shelter in town. Looking for a good cause to fill her lonely days, she never expects to give her heart to the hurting women she meets there. She's finally learning to live her life with gratitude, but then heart-wrenching events on Thanksgiving weekend threaten to pull the entire Whitman clan into turmoil-and leave them all forever changed. 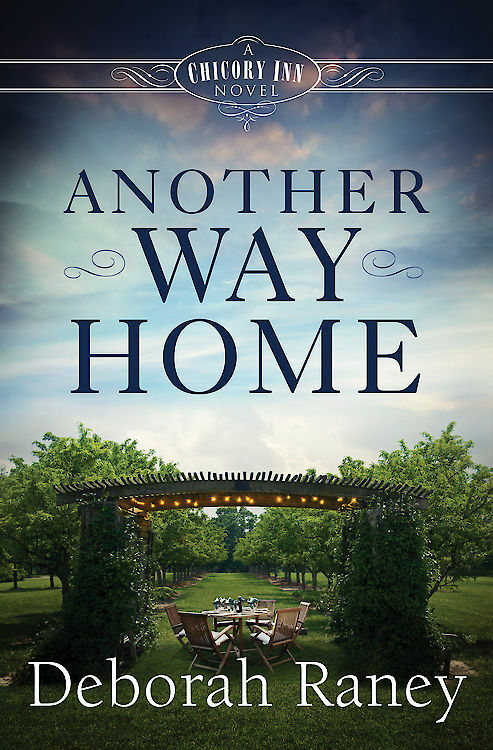 Two Roads Home involved Danae swapping homes with her older sister, and now at the start of Another Way Home she is in this big, beautiful dream home, decorating a nursery, with no real hope of ever being able to fill it. Danae is in full-blown feeling sorry for myself mode, and isn't a very pleasant person to be around. Like her sisters' stories, this one has a rather unlikeable person go through some transformations during the events of the book, and end up a much more mature and all-around better person by the end. This book touched me also because of the subject of adoption. I have a passel of adopted cousins. The eldest one has adopted a baby herself, from the same orphanage she had been at. Another cousin, I just found out, is in the process of adopting an older child. I love reading about adoption. Unlike the other two books though, I actually liked Danae, even when she was wallowing in self-pity. Maybe it is because I hung out in that same pity party locale years ago, where I didn't relate to the issues facing Danae's sisters. Maybe it is that all of the characters are more fleshed out and real now in this third book. I'm not entirely sure, but I do look forward to the next installment with the Whitman family soon.